Many people think that fat is harmful to health or leads to overweight and obesity. In fact, not all fats are bad for our body. For example, salmon with lots of omega-3 fatty acids that are good for the brain, hair and skin, preventing cardiovascular disease as well as increasing the resistance to your body. However, the improper cooking process of salmon might affect on the quality of the dishes as well as your health. 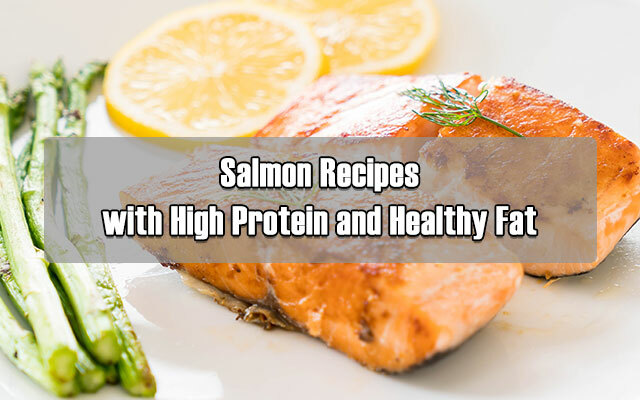 That’s why in this article, I will not only talk more detail about top benefits of salmon, but also share you my favorite recipes to cook them in both delicious and healthy way. Truth to say, the “secret weapon” that makes salmon defeats the others and become one of the healthiest food in the world is its high content of omega-3 fatty acids. By lowering cholesterol, salmon will reverse the risk of stroke or heart disease as well as lower blood triglyceride levels and lessen blood clots that lead to obstruction of the blood vessels. Also, it improves cardiovascular health by increasing your HRV (stands for Heart rate variability) and reduces the risk of arrhythmias and sudden death. It’s proven that with more than a week of salmon diets, dieters will lose about 12 percent risk of disease than those who don’t. Little don’t you know that about 3% of the hair structure is fatty acids. Also, the cell membrane of the scalp contains omega-3 fatty acids, too. This kind of fat helps to protect cells and moisturize the skin. It also boosts the production of elastin fibers and collagen, which helps keep the skin healthy. 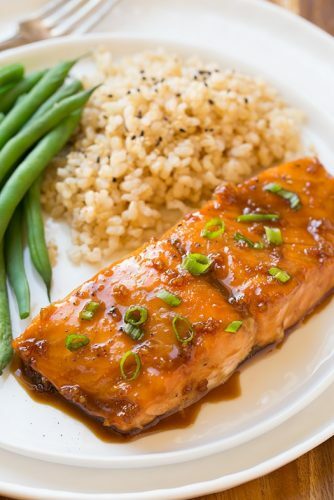 Meanwhile, salmon is very rich in protein, vitamin D and omega-3 fatty acids to improve your skin and hair health. 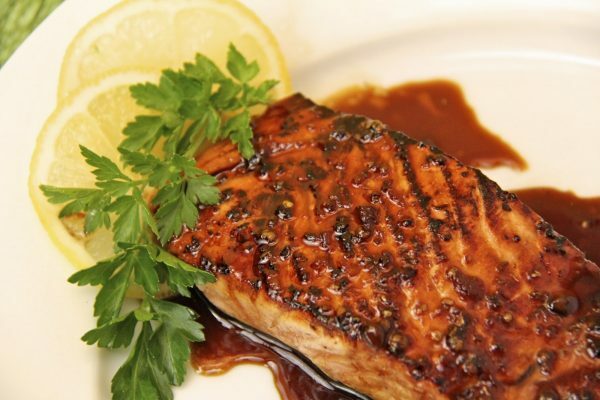 Fatty acids in salmon provide nutrients to the hair follicles as well as help keep healthy hair. This is a natural oil that maintains moisture for your scalp and hair. So, salmon helps fight sunburn and skin cancer. Salmon is a great food that protect the gastrointestinal as well as helps your digestive system fight against cancer. People who regularly eat salmon have less chance of breast cancer, colorectal cancer, esophageal cancer, throat cancer, pancreatic cancer, stomach cancer, ovarian cancer and rectal cancer. Apart from omega-3 fatty acids, salmon also has high levels of protein. These two substances play an important role in building muscle. While Omega-3 fatty acids help to decrease the risk of muscle protein breakdown after exercise and help improve it recovery, protein is added to your body to alter the old protein what was lost. Remember that no matter how hard you practice, without adding food properly, the effect of training will not be assisted. Usually eating salmon helps to strengthen muscles and promote metabolism. Rarely many people know that salmon is also a great source of selenium, a mineral that protects the body from free radicals. Free radicals are responsible for the weakening of cells, which makes them vulnerable to infection and other diseases. For humans, DHA is presented in the unsaturated fatty acids of salmon and plays an important role in the growth of brain, nerve system and restricts the decline of brain functions that cause Alzheimer’s. It helps you memorize better and also keeps you stay awake during hard-working hours. Apart from amino acids, vitamins D and A, selenium, it protects the nerve system from long-term harm. 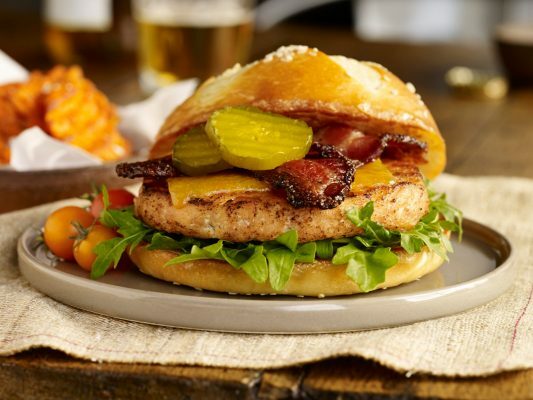 The lack of this unsaturated fatty acids will cause poor memory and less intelligence. Particularly for young children, DHA is a very important nutrient and is essential for developing brain cells. Besides, many studies have proven that salmon support a great deal in the boosting fetal brain. Therefore, for pregnant women, increasing the amount of salmon in the diet is extremely necessary. The amino acids and omega-3 found in salmon also improve the health of the eyes and prevent Age-Related Macular Degeneration, dry and tired eyes. AMD is the most popular diseases that cause vision loss in people over age 50, and research suggests that eating salmon actively helps prevent this disease. The omega -3 excellently fights against AMD, that results in blindness. This fish is also a great natural source of vitamin D that is beneficial to the health of the eyes. Now, it’s not hard to cook with salmon and I’m quite sure that out there, on many social media channels, there is a bunch of tutorial, recipes and guide for various salmon dishes. 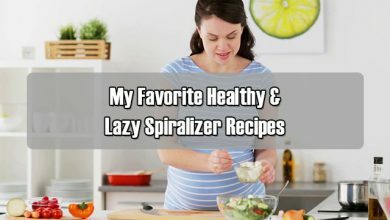 But here, what you are going to get is also my regular ways to cook with salmon – top scrumptious salmon dishes that have easy cooking, easy to find ingredients, delicious flavor and guaranteed not to lose any nutrients or substances in salmon. Check it out! Wait: As I usually cook for me and my wife so, all formulas provided in this part will be applied for two people. If you intend to cook for a larger group, just multiply it up. Whisk garlic, ginger, red pepper, olive oil, soy sauce and honey in a mixing bowl to get a homogeneous mixture. 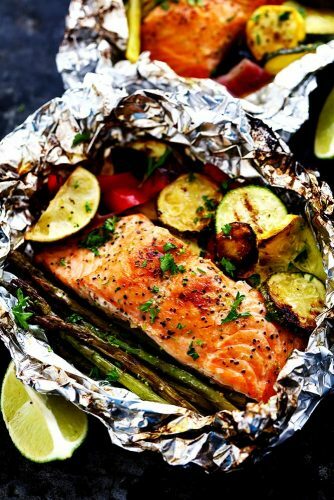 Place salmon inside a plastic bag with zipper. Pour half of the mixture into the bag, zip it and marinate within 30 minutes. After that, preheat a thin layer of oil in a pan until it starts to shimmer. Salmon is very easy to get burnt yet also very difficult to flip if the metal pan is too cold because of the chemical bond formed between the meat and the metal. So, bear in mind to preheat both oil and pan before entering salmon into it. However, to prevent overcooking salmon, remember to lower the heat and carefully place fish into the pan. Don’t drop unless you want to get some dangerous splashes. Now, it’s a little bit about aesthetics. As salmon skin is really easy to get curl and buckle while cooking if you don’t pay attention to it. So, to retain its beautiful, flat shape, after placing salmon into the pan, use a flexible fish spatula to press its back firmly yet gently within 10 seconds. Now, what should you do with multiple fillets? Easy! Just put one by one into the pan, press it in 10 seconds and then place the next fillet. How to know if salmon is cooked? Frying salmon might need either some techniques or just few tools. In this case, my tip for amateurs is using an instant-read thermometer to manage temperature better. Might you know it or not, underneath salmon skin is a thick fat layer. And to get the skin pleasant as well as crisp, you need to render such fat. Another thing you need to keep in mind is that fat is very good at insulating. From that point, it’s much gentler on the flesh if you cook the skin side down. Once the thermometer inserted in the center of salmon registers 120 degrees Fahrenheit, flip it to fry the other side. Let it cooked within 15-20 seconds as the flesh now has been cooked almost throughout. So, just let it kiss the heat quickly. Now, after drying the flesh on a paper towel–lined plate, place salmon on dish, baste with another half of the mixture and ready to serve. Now, whisk garlic, rosemary, oregano, basil and lemon juice in a mixing bowl to get a homogeneous mixture. Now, put all 4 pieces of salmon on a food container, swipe evenly the mixture on both sides of four salmon pieces. With mushroom, bell pepper, cherry tomatoes and zucchini, place them in the rest part of the food container. Baste with olive oil. Then, sprinkle with salt and pepper. Bake in 400 degrees Fahrenheit within 30 minutes. And done! Easy peasy! It just takes about 10-15 minutes for preparation, 30 minutes to bake. So, get ready in 40-45 minutes, which is perfect. 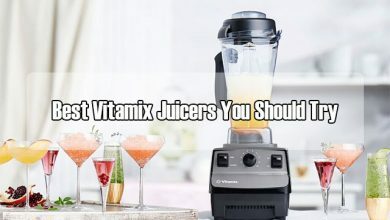 In the “Most Unique & Exciting Ways to Eat Avocado” Article on this blog, I have already told you about all marvelous benefits of this unique fruit alongside with some delicious and easy ways to eat it. 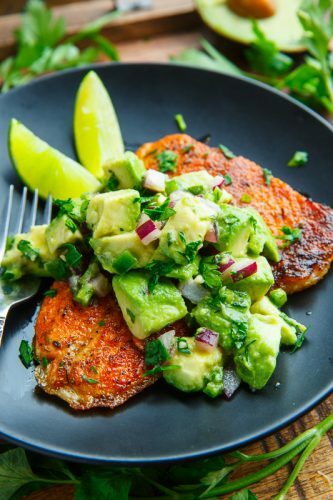 Now, I’m going to introduce to you another interesting prep using two major ingredients: avocado and salmon. Try it out! Mix olive oil (1 tbsp), salt (1 tsp), pepper and paprika in a mixing bowl. Insert salmon fillets and marinate it evenly. Then, refrigerate the bowl within 30 minutes. After that, grill these four fillets on a barbecue smoker within 2 minutes in high heat. Then, flip the flesh, grill in two more minutes. Place them on a dish. Now, with avocados, cut them into 1-inch cubes. Place all of them into a small mixing bowl. Add red union, lime juice, olive oil (1 tbsp) and salt (1 ½ tsp), mix them gently to avoid breaking avocado cubes. 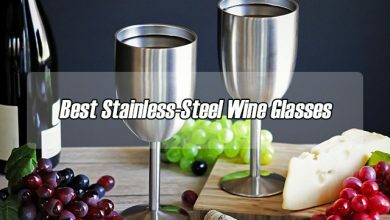 Pour this mixture on salmon fillets and ready to serve. Okay, this is one of the most favorite dishes that I’m so excited to share you. 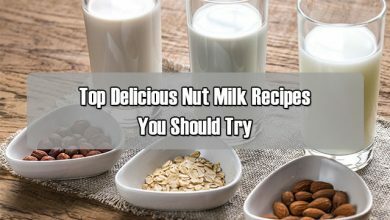 It’s delicious and easy to prepare as your breakfast every morning. Worth trying! Whisk yogurt, spicy Dijon, dill (1 tbsp), chives and honey (1 ½ tsp) in a mixing bowl to get a homogeneous mixture. Cut the flesh into small squared cubes. Insert it into a food processor, pulse five times. Now, add red onion, dill (1 tbsp), horseradish and honey (1/2 tsp), sea salt and pepper into the food processor. Pulse more five times. Then, form the mixture into four patties. Fry them on a nonstick stainless-steel pan that’s preheated with some olive oil, use medium-high temperature and fry them within four minutes. Then, flip and cook the other side within four more minutes. Now, serve them on some multi-grain bread, some favorite veggies, basted with yogurt mixture. Use a garlic press to crush two cloves of garlic. Mix maple syrup, soy sauce (2 tbsp), orange juice, ground ginger, garlic clove (1), pepper and salt evenly in a bowl. Place salmon fillets into the bowl, marinate them gradually and evenly within 1 minute. Put the fleshes into a nonstick stainless-steel pan that’s already been preheated with some olive oil. After the underside is cooked, flip and fry the another. With broccoli, boil them with water, then, drain under cold water. Now, put broccolis in another pan, add butter, soy sauce (1 tbsp), red pepper flakes, garlic clove (1) and lemon zest. Cook in a couple of minutes to let broccoli be permeable evenly. 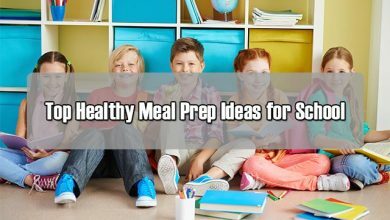 Place salmon fillets into a zippered plastic bag. Add olive oil, salt, pepper, 1 lemon juice, garlic, rosemary and thyme. 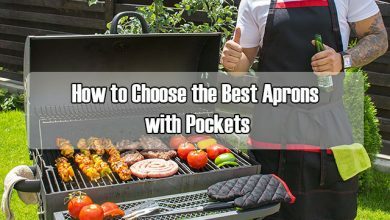 Zip the bag and marinate them in at least 1 hour. Take the other two lemons, slice them into thin pieces. With asparagus, cut off about 2 inches the bottom of each branch. Take the top. After that, place a layer of lemon slices on a barbecue smoker, top with salmon fillets and some branches of rosemary. Grill within 20 minutes in medium-high temperature, using indirect heat technique. Then, grill the asparagus, too. Don’t forget to swipe some olive oil on them to avoid burning. Grill in five more minutes and ready to serve. Take a look and choose salmon with black eyes, bright and clear, do not choose the one with dark eyes with too-soft flesh. In addition, you can hold the tail of the fish and slightly shake, if the flesh around its spine is firm, that means you are holding a fresh fish. It’s better to use a suitable fillet knife to cut the salmon meat along its abdomen, then open the abdominal cavity to remove the fish gut. After that, remove the scales in its belly and outside of the skin. Salmon has a very strong odor. If not thoroughly remove that smell, it will partly affect on the taste of the dishes. My tip for this is to dilute salt with water and add two tablespoons of lemon juice to that liquid. With every piece of salmon that has already been cut, put it into the bowl and wash. Finally, rinse with cold water, drain and then, start cooking. Before putting salmon in the pan or oven, remember to spice it with salt and pepper to ensure the taste of fish after it’s done. If you spice it too early before cooking, salt breaks the protein found in salmon, causing the fish to drain and not taste good. 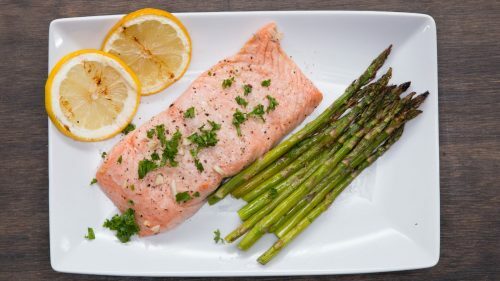 I know that within a short article, it’s impossible for me to drop you all knowledge salmon cooking process, such as what to do with this step or how to do with that step. However, such basic info can be easily searched and found. In terms of recipes, kindly understand that it’s based on your creation in cooking as well as your preference. You should be due to knowledge base and create it yourself. 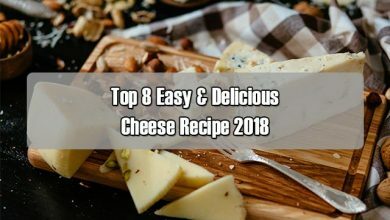 Might my recipes not fit your taste, but might they be tasty to others. But all-in-all, I hope that my guide, tips, tricks and other information shared are useful to you, more or less.